There are several shopping centres in Krakow where you can buy things from clothes and shoes to kitchenware to medicine to groceries. In Krakow shopping is nice and easy, because shops are usually open until late hours and located in many places around the city. If you are traveling to Krakow by plane, you can take advantage of Duty-free zone at Balice Airport and do tax-free shopping. Buying perfumes, alcohol, tobacco, and cosmetics in generally cheaper at the airport. All shops located in Duty-free zone offer tax-free shopping. All you need to remember is to fill out the tax refund form. There is also a shopping centre adjacent to Krakow main train station. 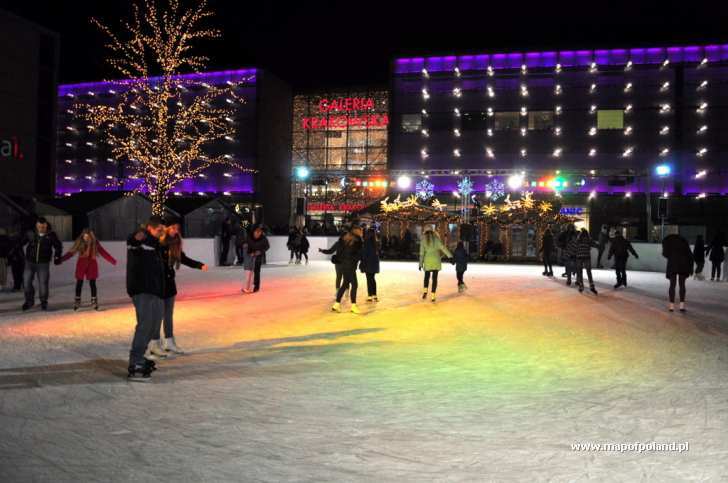 It is one of the largest shopping centres in Krakow with over 270 shops and over 20 cafes and restaurants. It is always busy and bustling with customers doing their last minute shopping or having a meal before traveling. The advantage of doing shopping in Galeria Krakowska is that it is open from 9 a.m. to 10 p.m. (with the exception of Sundays, 10 a.m. – 9 p.m.). It also houses a multiplex cinema. Another very popular Krakow shopping centre is located in the former Jewish quarter Kazimierz. 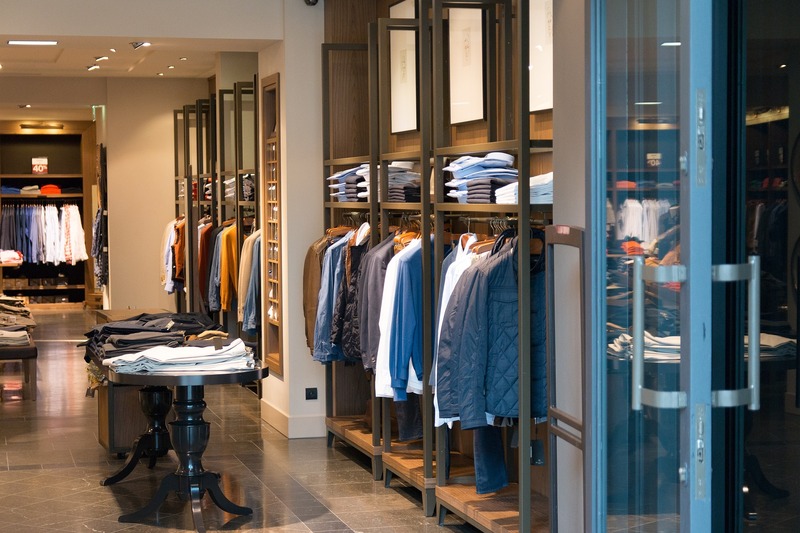 Galeria Kazimierz houses many fashion stores, including high-end boutiques and shops offering original clothing. It is open all week from 10 a.m. to 9 p.m. A large part of the shopping centre is occupied by a cinema. 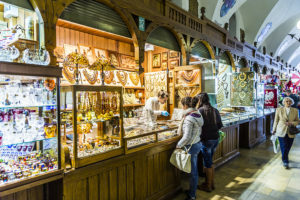 If you are looking for more unique souvenirs from Krakow, you can buy them in many small shops scattered around the Old Town and Kazimierz district. 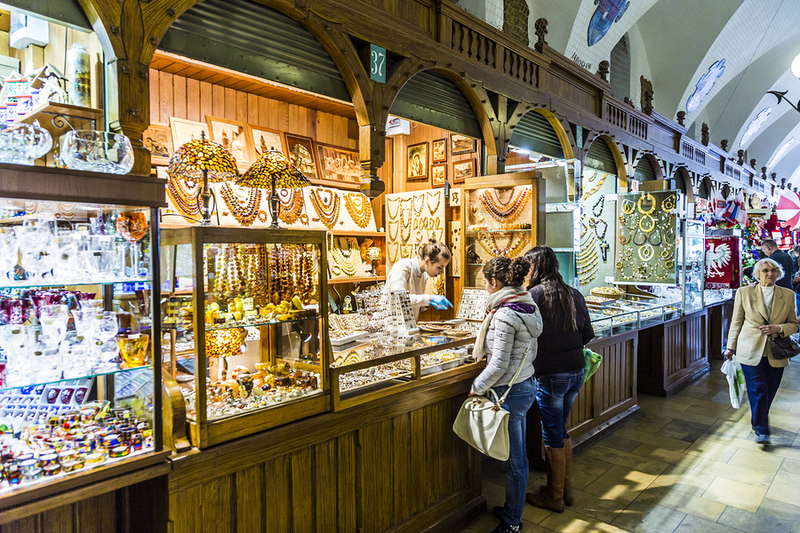 The most popular place to do your Krakow souvenir shopping is the Cloth Hall. Rows of stalls offer the most distinctive gifts from amber jewellery to regional food. There are also many seasonal fairs taking place at the Main Market Square, such as Christmas market or St. John’s fair. Shopping in Poland is relatively easy because there are many supermarkets, shops and boutiques located everywhere in the city. Most of them are also open from early morning hours to late in the evening and 7 days a week. Public holidays in Poland is when most of the shops are closed, with the exception of privately-owned corner shops and gas stations.